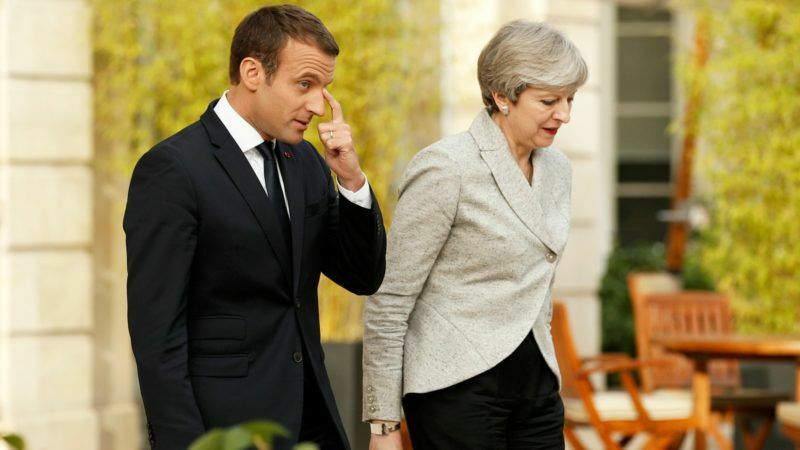 French President Emmanuel Macron said on Tuesday (13 June) the door was “always open” for Britain to remain in the EU despite Prime Minister Theresa May saying Brexit talks would begin next week. The meeting in Paris followed the leaders’ remarkably different political fortunes in the past week, which saw Macron’s party headed for a massive parliamentary majority, while May lost her slim advantage in the House of Commons. Prime Minister Theresa May is fighting to hold on to her job today (9 June) as British voters denied her the stronger mandate she had sought to lead the country into divorce talks with the European Union. 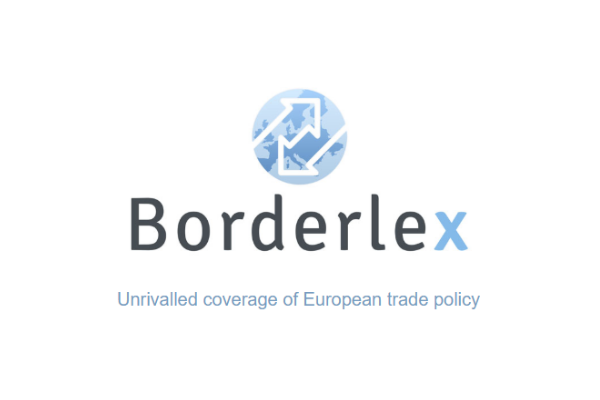 “Of course the door is always open as long as the negotiations on Brexit have not finished,” Macron said in a press conference. But he stressed that the British people had taken the sovereign decision to leave the 28-member bloc in their referendum a year ago, adding that the beginning of talks would be a milestone. “Once it (the Brexit process) has started we need to be collectively clear that it’s more difficult to reverse course,” he said at the Élysée palace. May stressed that she would stick to her timetable of starting Brexit discussions next week in Brussels, saying the talks were “on course”, despite her domestic difficulties. 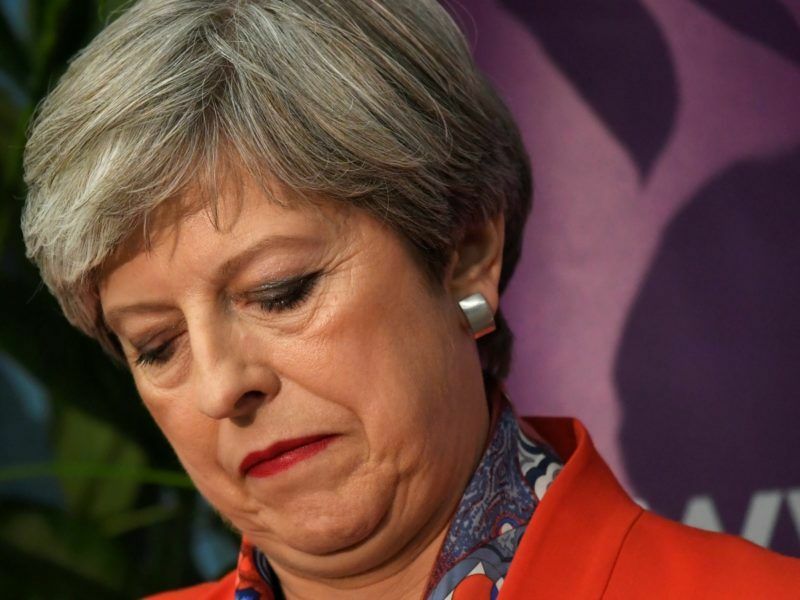 Her Conservative Party lost its majority in a bungled snap election last week which some observers suggested might lead May to abandon her plans for a so-called “hard Brexit”. After their talks, May and Macron watched a football friendly between England and France where a minute’s silence was held before kick-off to remember the victims of recent terror attacks in Manchester and London. The order of the national anthems was reversed, leading thousands of French fans to put aside centuries of rivalry, war and their own history of regicide in a moment of cross-Channel solidarity. “God Save The Queen,” they thundered before the match began. The poignant moment served to underline May and Macron’s main message, namely that France and Britain will continue to work together despite Brexit. However there was no comfort for May on the pitch, with France winning the match 3 to 2. The French and British leaders also announced a joint action plan to crack down on extremism and terror propaganda online, accusing internet companies and social media networks of doing too little. The measures aim “to ensure the Internet cannot be used as a safe space for criminals and terrorists and it cannot be used to host the radicalising material that leads to so much harm”, May said. Priorities include looking into encrypted communication platforms used by extremists to evade security forces and new laws to impose penalties on online companies which fail to remove offensive content. Before May arrived to meet Macron, many commentators had underlined their contrasting fortunes. He is a 39-year-old centrist seemingly clearing all obstacles from his path after standing in and winning his first-ever election this spring. Last Sunday (11 June), his new Republic On The Move party won the first round of parliamentary elections and is on course for control. May is a 60-year-old rightwing veteran now fighting to keep her job following the loss of the Conservative Party’s majority. “Everyone assumes that she’s a zombie,” François Heisbourg, a former French diplomat and chairman of the International Institute for Strategic Studies in London, told AFP. He also repeated the conclusion of May’s former cabinet colleague George Osborne, now the editor of London’s Evening Standard newspaper, who called her a “dead woman walking”. Macron’s comments on leaving the “door open” are likely to encourage Britain’s minority europhiles who still dream of keeping Britain inside the European Union. But the reversal of the historic Brexit decision last June would probably require another referendum. Macron’s comments were echoed yesterday by German Finance Minister Wolfgang Schäuble. “If they wanted to change their decision, of course they would find open doors, but I think it’s not very likely,” Schäuble told Bloomberg Television. For what to stay ??? Britain blocked everything in EU negociation and i think Britain should this time remain forever outside as they choiced for their own destiny . It shall not repeated again the same british mistake and we Europeans are already very tired concerning the whole Brexit tralala . We are europeans and they are britons . Not more not less .